Looking to Hire Private Hospitality Staff? Looking to Hire Private Hospitality Staff ? First established in 2005, Platinum Recruitment has become a renowned and respected hospitality recruitment and private chef agency in the UK. With our dedicated team of top hospitality recruiters, we can find an ideal private chef to cook for you at home or your private yacht. Our team has years of experience within the hospitality and catering industry, which helps us provide a personal chef solution to suit you. 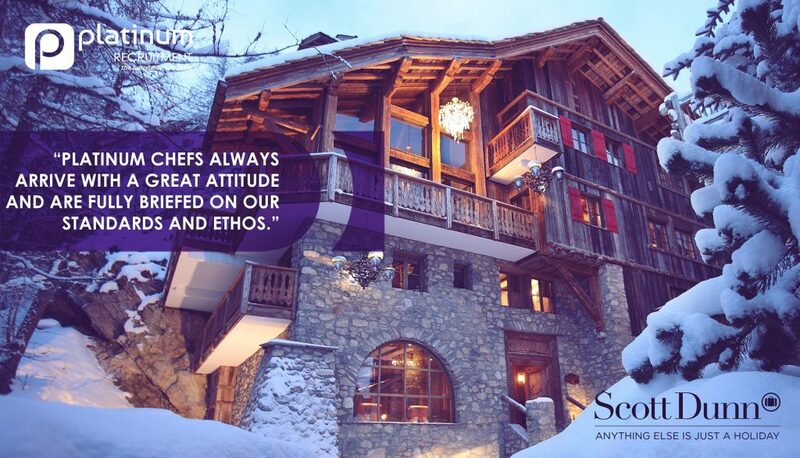 At Platinum Recruitment, we place many private chefs within private households, luxury yachts and high-end ski chalets. Our knowledge and experience working with pubs, Michelin Star restaurants and prestigious hotels across the UK has given us a deep understanding of the needs of our clients. We are keen to work with you to find well-suited candidate and we will continue to support you throughout the hiring process. What they say about us….. If you are interested in hiring a private chef or any other private staff and would like more hospitality recruitment advice, please call Andy Sinclair at Platinum Recruitment, a national hospitality recruitment agency, on 01202 203159 or email andy.s@platinum-hospitality.co.uk.